AfDB said the funds would be used to boost investment in renewable energy projects such as solar power plants. Some of its funding beneficiaries would include projects in Ethiopia, Rwanda and Kenya. 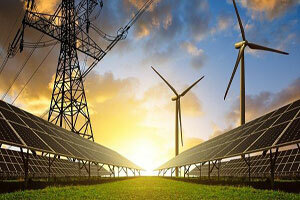 The AfDB also launched a new facility called as ‘Green Baseload’ Facility' to provide concessional finance to projects that can help countries to deliver baseload power with renewable energy sources. Many countries still rely on fossil fuels to provide the baseload power required to run the grid. Renewable energy, while providing an increasingly strong option for meeting growing energy needs, also require investments into the upgrade and creation of a robust transmission infrastructure. The AfDB has always been a leader in promoting renewable energy projects in Africa.In December 2018, Mercom reported on the news of AfDB approving a senior loan of $18.17 million for the development of a 50 MW solar power project in Nandi County, Kenya. In November 2018, the African Development Bank approved a senior loan of ~$220.3 million to the 100 MW Redstone concentrated solar power project located in the Humansrus Solar Park in the Northern Cape Province of South Africa. The bank’s strategy aims to achieve universal electricity access in Africa by 2025.